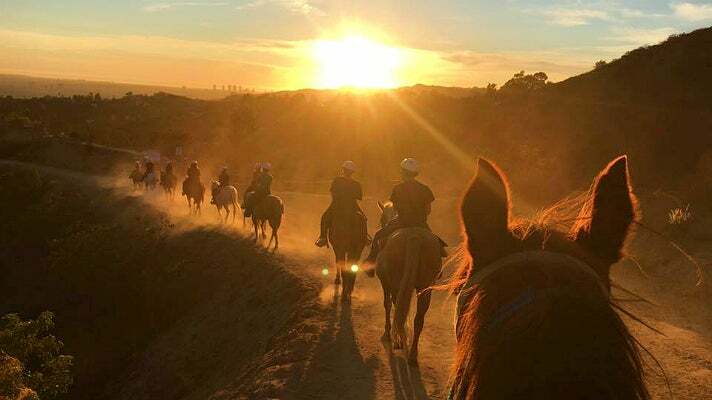 If you're looking for an equestrian adventure, Sunset Ranch Hollywood leads trail rides through the Hollywood Hills. You don’t need special riding gear, just pants and closed toe shoes. Nor do you need to be an experienced equestrian. The ranch provides helmets. The horses are gentle and sure-footed and the views are divine. Kids must be at least 8 years old to participate. 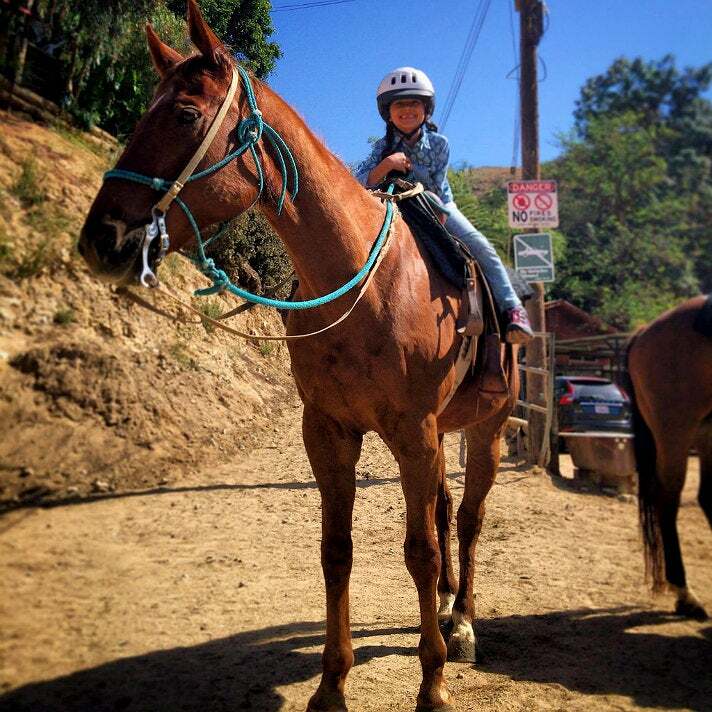 Maybe your kid will ride Malcolm, or Boomer, or Tiny, who, it turns out, is not tiny at all. An hour ride is just perfect, but there are also two-hour trail rides. 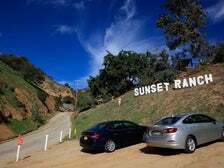 And now Sunset Ranch is offering two hour evening rides on Saturdays, followed by a catered barbecue dinner at the ranch. The Saturday night rides require reservations. A great tour guide is often the difference between a tour that’s "eh" and one that’s "wow!" The personable, knowledgeable tour guides at Bikes and Hikes LA are superb. 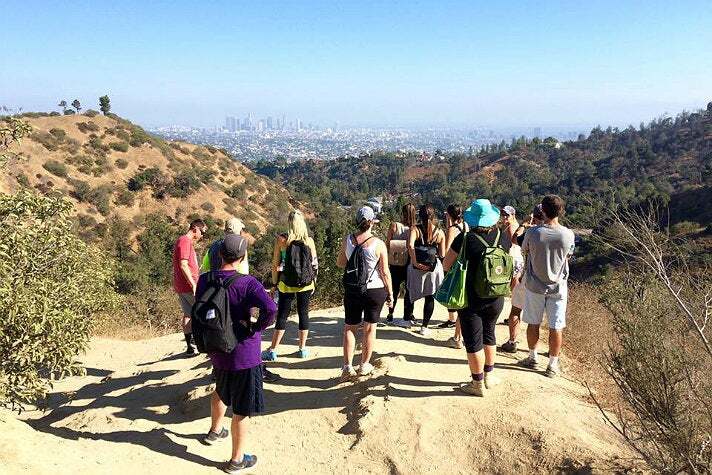 Though the company offers various tours, the most popular one for families is their 2.5 hour Hollywood Hills Hiking Tour, which includes the Hollywood Sign and the Batcave in Griffith Park. Owner Danny Roman points out it’s an especially effective way to counter jet lag, as sun and exercise are proven therapies. The tour departs daily from the Greek Theatre, at 10 a.m. and again an hour before sunset. If your schedule allows, opt for the afternoon departure. Seeing Los Angeles lit up in all its glory once you reach the Griffith Park Observatory is pretty spectacular. 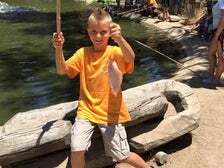 You and your kids will also pick up all manner of cool facts and trivia along the way. For example, Colonel Griffith Jenkins Griffith (the park’s namesake) was obsessed with ostriches. Who knew? 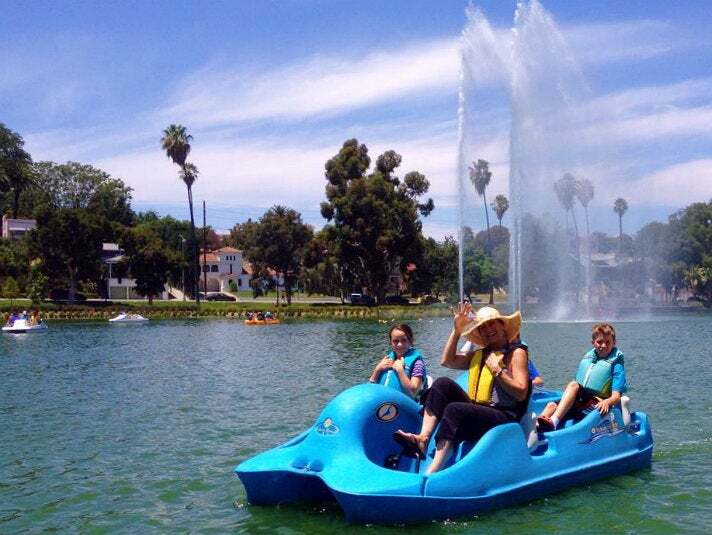 Echo Park Lake Pedal Boats is open seven days a week, year round from 9 a.m. to half an hour before sunset,. They close for Christmas and Thanksgiving, as well as on days when the weather is “marginal.” But even on cool days, it’s terrific fun cruising the lake in one of the bright yellow vessels. Children ages 2 and older (and a minimum of 30 pounds) are welcome. And teens can have their own boat so long as a parent vouches for them and agrees to keep a close eye on them. No reservations are required. If you arrive in the morning, you can likely board immediately. Weekend afternoons between 1 and 4 p.m. tend to be rush hour. It’s $10 an hour for adults and $5 an hour for kids. 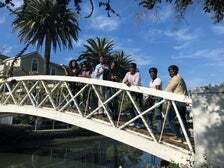 Technically, you could venture out on the Los Angeles River in Elysian Valley, a.k.a. Frogtown, on your own. But why not leave it to the pros? 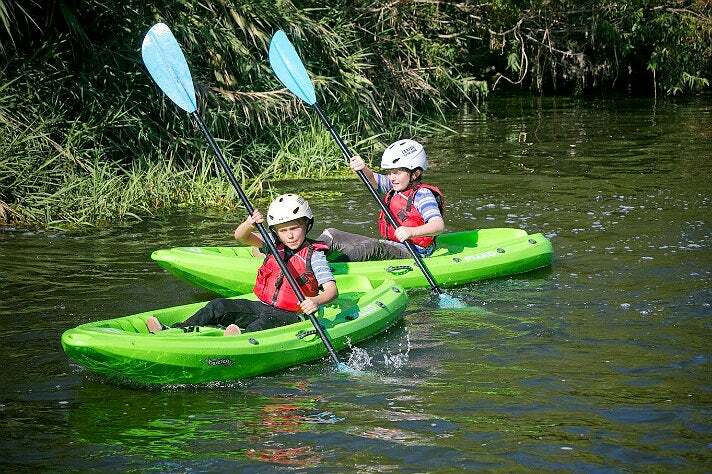 LA River Kayak Safari, which runs trips Memorial Day through the end of September, meets you at Oso Park (the start/end of the river trip) with bikes to ride to the Put In Point, where the water portion of the trip begins. You even get to experience some rapids on this portion of the river. From start to finish, it’s a three-hour adventure. So you and your kids (10 and up only please) should be in decent shape. In addition to a great workout, you’ll learn a little river history and see some wildlife. It’s like a mini vacation. “There are times when you really have no idea you’re in Los Angeles,” says owner Steve Appleton. And in case you are wondering, Appleton says, “You will absolutely get wet,” so dress accordingly. 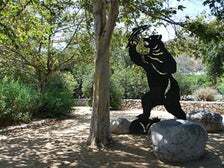 TreePeople, which is headquartered at the 45-acre Coldwater Canyon Park located midway between the San Fernando Valley and the Westside, is a local treasure and one that you can visit pretty much any time. 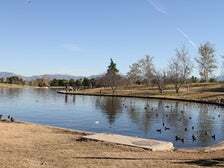 Be sure to visit during one of their many special events, like the group dog walks that take place the second Saturday of every month at 10 a.m. Families are invited to bring their social, well behaved dogs—it’s just $5 per pooch—for an hour of exploration. Advance reservations required. The monthly moonlight hikes ($5/person, reservations required) on the third Friday of every month are another good reason to visit TreePeople. 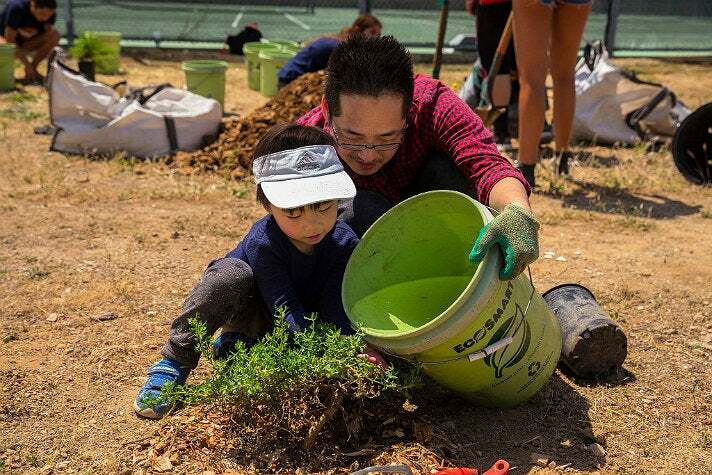 From Fall through Spring, the organization plants trees throughout Los Angeles. 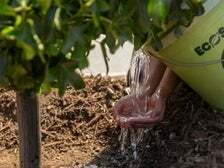 (They have planted nearly 6,000 to date.) 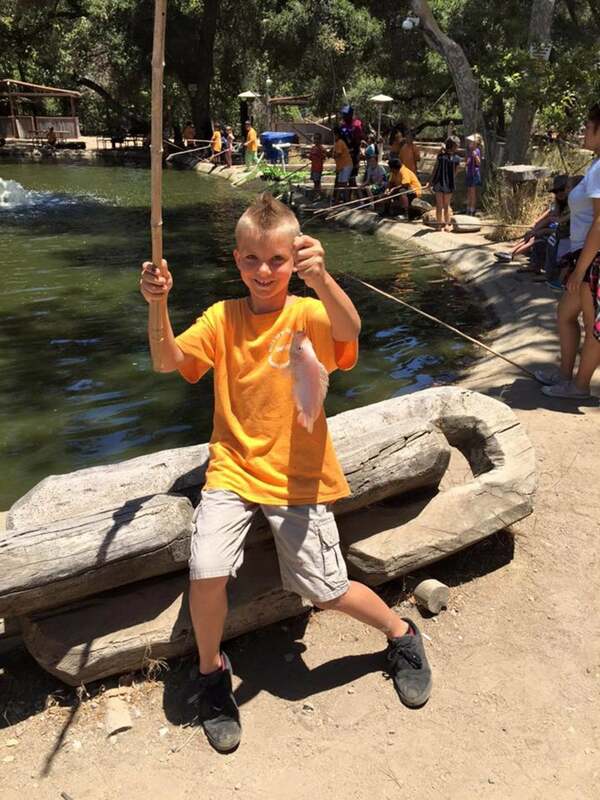 Volunteers of all ages are needed. 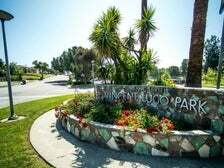 The 27-acre Lake Balboa is perhaps the best known destination in the sprawling Sepulveda Basin. But there is so much more to see and do. The Japanese Garden, open Sunday through Thursday—check the website for hours—is a tranquil spot and a guaranteed crowd pleaser. On the other side of Woodley Avenue is Apollo XI Field, where you often find dozens of modelers flying elaborate remote control planes and helicopters. 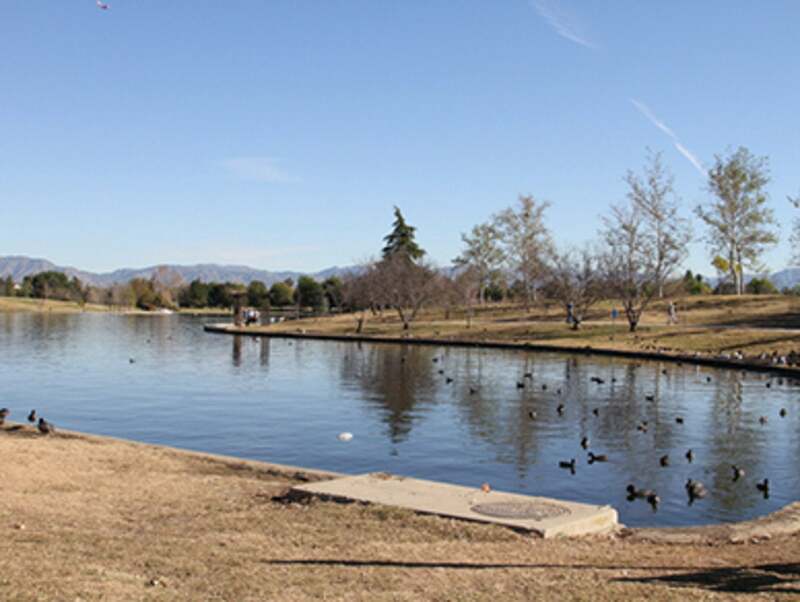 Also worth checking out is the Sepulveda Basin Wildlife Reserve, a popular spot for birding. Keep your eyes peeled for cottontails, ground squirrels and lizards too. 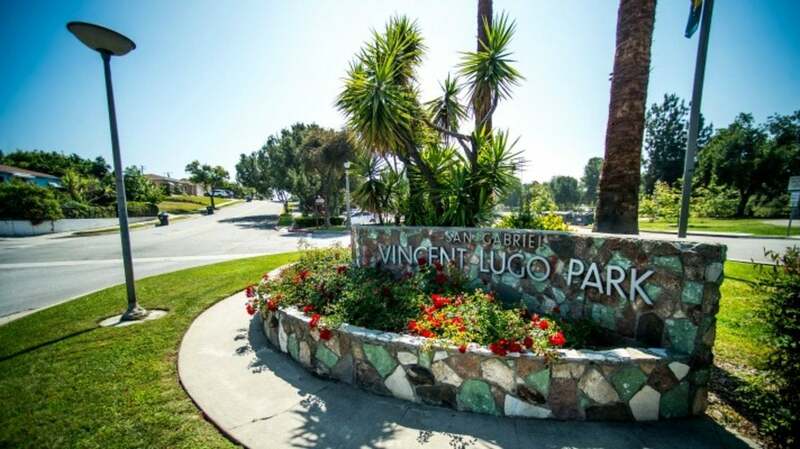 Ten years ago, the magical playground at Vincent Lugo Park - known variously as the Laguna de San Gabriel, monster park, and dinosaur park - was in disrepair and in danger of being demolished. Fortunately its fans are a vocal bunch and as a result of their efforts, the playground underwent an extensive restoration and is still around today. 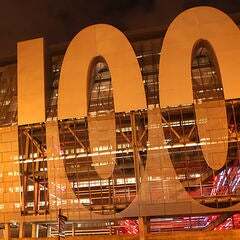 It is even listed on the California Register of Historic Places. 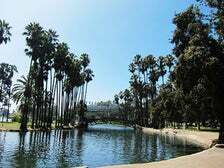 Artist Benjamin Dominguez designed the park in the 1960s and it is unlike any other. It features giant, colorful sea creatures such as Minnie the whale and Ozzie the octopus as well as other fantastical structures for climbing and sliding and playing hide and seek. Great photo ops too. 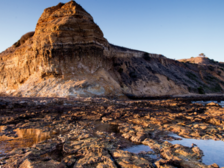 When you visit the tide pools at Abalone Cove Beach, wear comfortable shoes - ones that you won’t mind getting wet and with good gripping soles. 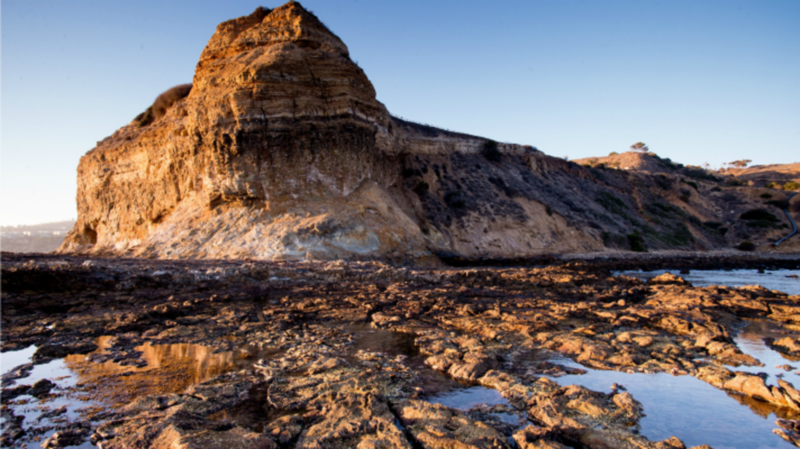 From Abalone Cove Shoreline Park, it’s about a 20-minute walk, down a steep and in places, narrow path to get to the beach. And the beach itself is extremely rocky. So don’t even think of attempting the trip with a stroller. The good news: the payoff at the end, at least if you visit during low tide, is worth it. (There are various tide charts you can consult online.) You might see crabs, urchins, sea hares, anemones, the abalone that gave this stretch of beach its name, even octopi. 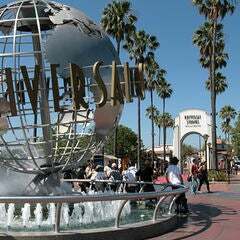 Winter is generally considered the best time to visit.